Vitamin D regulates the amount of calcium and phosphorous in your body. So you can maintain stronger bones. Vitamin D strengthens the blood cells around your retina. So you support your eyesight. Vitamin D helps limit joint pain. So you can have less pain in your knees. Vitamin D boosts your immune system. So you can avoid colds and flu. Vitamin D supports your heart. So you protect the most important muscle in your body. Vitamin D plays a crucial role in keeping your body strong, full of vigor and more resistant to disease. First, few foods are naturally rich in Vitamin D. Fish like salmon, tuna, and mackerel top the list. 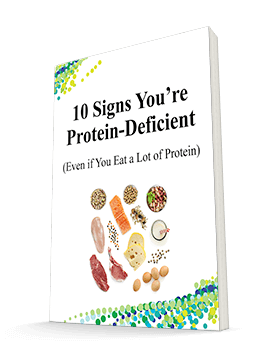 And while other foods like milk, cereal and juices are fortified with Vitamin D, it's usually a scant amount — and often in the wrong form. Second, your body makes Vitamin D when your skin is exposed to the sun. But in winter, the days are shorter, the sun is lower, and we spend more time indoors. Summer may not be any better. Many people stay inside the air conditioning to beat the heat. Plus, what are you constantly warned to do? Stay out of the sun entirely or plaster yourself with sunscreen! Sunscreen creates a barrier between your skin and the sun — preventing your body from making natural Vitamin D.
Finally, the older you get, the less efficient your body is at making Vitamin D on its own. It's no wonder that 70% of my patients that I test have a Vitamin D level that is much too low. As I mentioned to you earlier, eating Vitamin D rich foods isn't enough. In a perfect world, you could get all the Vitamin D you need from natural sunshine. But since that's not always possible, the best way to boost your Vitamin D levels is with a high-quality supplement. Unfortunately, a lot of Vitamin D supplements on the market aren't worth the money. First of all, many brands use Vitamin D2, a synthetic form of the vitamin made in the laboratory. The natural form, Vitamin D3, is at least three times more potent than Vitamin D2. Plus, D3 is more easily used by your body. Second, many brands come in dosages that are pitifully low. You see, the RDA for Vitamin D is only 400 IU. That was the amount recommended 50 years ago, before modern research studies were done. These studies show that the optimum amount to take is 2,000-10,000 IU a day — dozens of times the amount of the RDA! That's the amount you need to protect your immune system, your heart, your joints, and your eyes. It's also the amount you would get from being exposed to 15-20 minutes of sunshine in the middle of the day. Which means it's perfectly safe. In fact, studies show that you'd have to take 40,000-100,000 IU a day for several months before you experienced any negative effects. 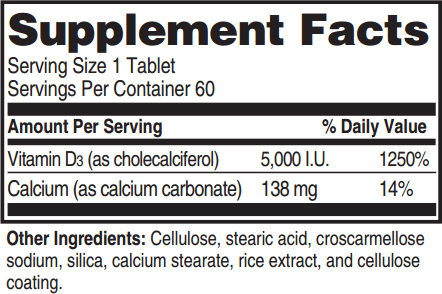 Each tablet from their Vitamin D3 contains 5,000 IU. So you can get a full day's worth in just a small pill. Their D3 is 100% naturally sourced. It comes from lanolin found in sheep's wool. Therefore, you're getting the natural, more potent D3 instead of the weaker D2. Each batch is tested for effective absorption. In fact, their tablet dissolves within 45 minutes of you taking it. So it doesn't pass through your body unabsorbed. Their manufacturing process conforms with or exceeds the standards set by the US government, the Medicine Control Agency of Europe, the U.S. Pharmacopeia, and the state of California. 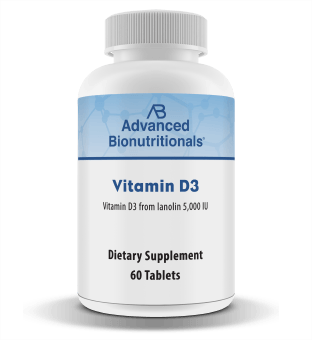 Their Vitamin D3 is lab-tested by independent third-party laboratories. So you know each batch is consistent and made to the same high standard. One bottle containing 60 tablets of their Vitamin D3 is just $9.95 plus shipping and handling. This works out to just 28 cents a day, less than the price of a cup of coffee. However, you can get a better deal when you order three bottles for $26.85 plus shipping and handling. You save $3.00 off the single-bottle price. But, if you want the best price, you should get 6 bottles for $47.70 plus shipping and handling. You save $12 off the single-bottle price. That's just 15 cents a day! 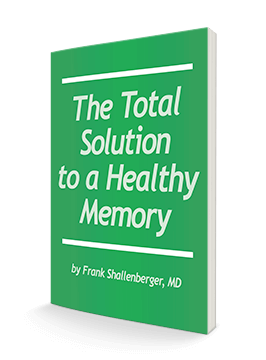 Just imagine: for only a few cents a day, you can reduce pain from aching joints...keep your eyesight healthy... build stronger bones and support a strong immune system. And regardless of which option you choose, you're not risking a single cent. The folks at Advanced Bionutritionals are so confident you'll be delighted with their Vitamin D3 that they are offering you an amazing "down to the last pill" guarantee. Click here to try Vitamin D3 risk-free and see for yourself. You can take every last pill and if you're not delighted, simply return the empty bottles within 90 days of your purchase. You'll get all your money refunded — including shipping and handling. There'll be no questions asked. You only pay return shipping. To make sure you're never deficient in this vital nutrient ever again, follow this link or call Toll Free - 1-800-791-3395 24 hours a day, seven days a week. PS. I've been telling my readers for years that Vitamin D is one of the most crucial nutrients for protecting your heart, building stronger bones and supporting your immune system. If you're not getting enough sunshine every day, then taking extra Vitamin D3 is one of the most important things you can do. These statements have not been evaluated by the Food and Drug Administration. This product is not intended to diagnose, treat, cure or prevent a disease.